At Heatherman Homes LLC we do things a little differently. Our company is a local military family owned company specializing in professional real estate sales and property management services. Our company strives to provide quality individualized services for affordable pricing to meet the needs of the community. With decades of real estate knowledge and experience behind us, we are able to easily guide you through any of your real estate needs. Heatherman Homes LLC are certified Military Relocation Specialists. Let us help you understand your VA benefit, coordinate buying or selling your home during PCS season, or discuss buy/rent or sell/rent options. We understand the difficulties of PCS and deployments and can work with you regarding all of your real estate needs. We have the latest up to date technology for managing your rental property while you are away from Northern Virginia. We can give you peace of mind that your investment is cared for while you’re on deployment. Never used your VA benefit for buying a house? Read this then give us a call so we can help you buy a new house. Property managers can be really helpful, but it could be a luxury that come believe they cannot afford. It definitely wouldn’t hurt to set up an appointment for more information. Please click on the link above and give us a call. An appointment would be at no cost to the landlord. If we still can’t get your business, we can always give you some tips, advice, or some things to think about. Give us a call today! Need a quick overview on how to buy a HUD Home? See our blog and follow it for further instructions on the details on how to buy a HUD property! BUYERS – AGENTS – BROKERS: Learn the process of purchasing a HUD property. We give monthly classes here at the office OR set up an individual appointment to learn the process. We’re here to help! Call today at 540-628-2226 or email at info@heathermanhomes.com! Are you interested in purchasing a HUD home? 2019 Acquisitions has been replaced by RE Global as the asset manager for HUD Homes. Please stand by for further information as we get it! For More infor about RE GLobal, click here! 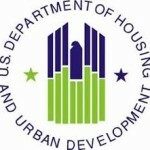 A HUD Home is a 1 to 4 unit residential property acquired by the US Department of Housing and Urban Development as a result of foreclosure action on a FHA-insured mortgage. HUD becomes the property owner and offers it for sale to recover the loss on the foreclosure claim. This could mean savings for you! Click on the link below for more information! CLICK HERE TO GO TO THE HUD HOMESTORE WEBSITE!